A first portable Resistance and the first non-Syphon Filter title in more than a decade for Bend Studio, Retribution marked another assured outing for the developer. Fantastic presentation and a myriad of blockbuster shooting sections prove the highlights, even if some of its ultimate potential is checked by cumbersome controls and a lack of variety. A full-blooded gameplay experience manages to capture the essence of the Resistance universe, if not necessarily the satisfaction of its combat. Bend Studio understood that Retribution had to centre its appeal around creative weaponry, sneaky foes and an absolute sense of spectacle, and in all three instances, they really went for it. The series’ trademark weaponry remains an alluring prospect for shoot ‘em up fans, with an inviting array of guns to master, ported relatively faithfully to the small screen. Of greatest significance are the Auger and its ability to shoot through solid surfaces, and the Far Eye sniper rifle with its variable scope, a gun that remains impressively accurate on the handheld. The Chimera remain a formidable foe; they move frequently between cover positions and as a consequence, can prove tricky to pin down. With behaviour that fluctuates between aggressive and cagey, they’re no strangers to converting a numerical advantage into a tactical upper hand. Though in a sense it adds to the enemy’s obdurate appeal, they’re absolute bullet sponges, short of shooting them in the head or their glowing backpacks. This is problematic as manual aiming is uber-clunky and the auto-aim usually results in the wasting of an entire Bullseye machine-gun clip into the midriff of an unflinching goon. Some of the impact and immediacy of the PS3 versions has been lost in translation. 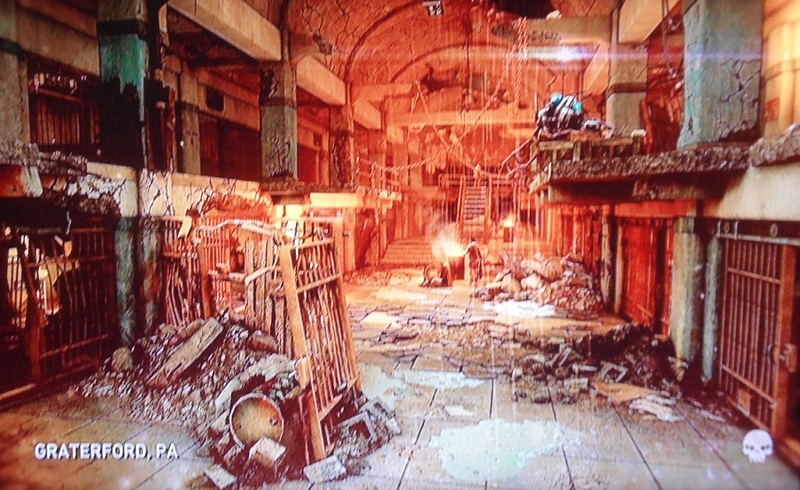 The war-torn settings are some of the most detailed and atmospheric on the system, with impressive character animation and a big-budget feel. 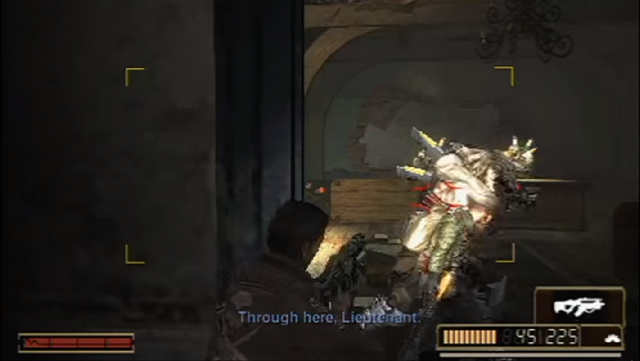 Bend recognised, even during the early Syphon Filter games, that numerous additional touches were necessary to instil such a sense of immersion that meant the player believed they were fighting as part of a war effort, and not as a one-man army. Even as Grayson battles away, you’re aware of allies and comrades locked in their own life-or-death tussles with the Chimera. It’s an assault on the senses, and not just from the ground either; fire and smoke sketch across the murky skies, whilst dropships maraud the tightly packed localities; a frequent and intimidating reminder of the scale of the conflict. Later on, this well-realised urban squalor gives way to slightly sparser, less interesting fare such as the enemy conversion centres, but with a network of spooky torch-lit tunnels and some unnerving blizzard conditions to negotiate late on, there’s no shortage of ways RR sought to push the PSP. Retribution’s biggest obstacle can to a significant degree be attributed to the lack of a second analogue nub. The hardware is partly at fault for the game's unintuitive controls, but it’s worth noting that whilst Bend's PSP Syphon Filter games somewhat masked the clunky one-analogue-and-face-buttons movement method through a more mediated pace and stealth-driven gameplay, RR is a fairly straightforward shooter with no additional pretentions, and is afforded precious few side-lines in which to hide its comparative deficiencies. 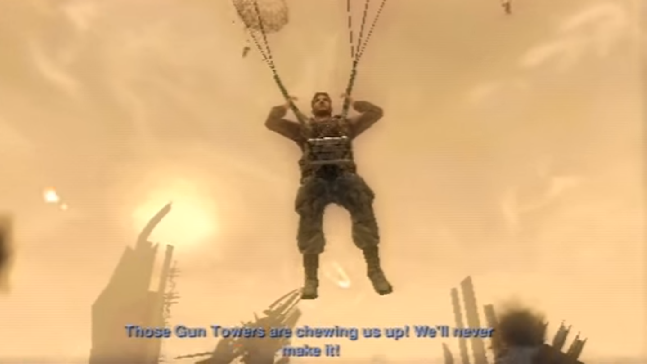 As a result, the basic shooting, which has always been a strength of the series thanks to its exotic weaponry, lacks the visceral enjoyment of Retribution’s heavier hitting FPS brothers. There’s no denying the sheer awkwardness of trying to fight fast paced, open battles, and having to exert as much energy performing joypad gymnastics as enjoying the action. Lurkers in particular leave the player horribly vulnerable. Speedy little creatures that swarm in numbers, these critters prove an absolute nightmare as they can rip Grayson apart in seconds. You’re never more aware than in these moments how lumbering his attempts to aim downwards or on a diagonal are than when they’re rushing at your feet. The lack of variety in the gameplay means that things start to feel a little samey, and with an almost non-stop train of battle scenes to negotiate, there’s only so many ways you can dress up the same encounters. As a consequence, it’s less absorbing than Dark Mirror, with slightly fewer ways of experiencing the levels and therefore a bit less replay value. It’s worth noting however that Retribution offers a very healthy selection of missions, as well as some detailed intel collectibles if that’s your thing. Though the shooting affords relatively little creativity, the external functionality of the game is one of its standout assets. 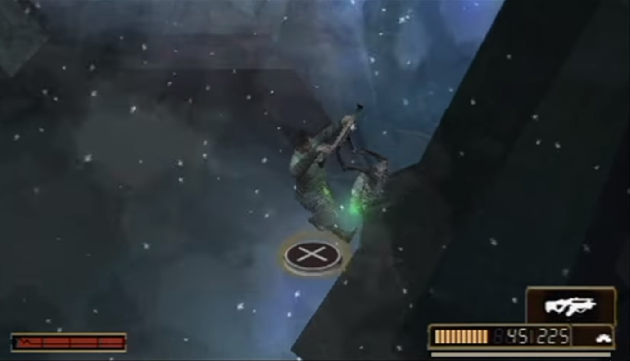 In conjunction with Resistance 2, there’s a “PSP Plus” mode that allows the player to tackle a tougher version of the game using a PS3 pad. Acknowledging the superiority of dual analogue control, and having the creativity to devise such a solution, is fantastic, though with the right stick originally mapped to accommodate digital inputs, it's rather wonky in conjunction with the speedier 'movement' stick. Another cool PS3-to-PSP offshoot is the ability to “Infect” your game, granting Grayson a revised, Nathan Hale-like regenerative health system, new clothing and a pair of rather sinister, yellow glowing eyes. In a show of remarkable attention to detail, the developers even threw in a few new cut-scene dialogues to acknowledge his altered appearance. These options offer an excellent, appreciable new dimension for the game, and it’s a shame more didn’t think to utilise PSP/PS3 releases as smartly. 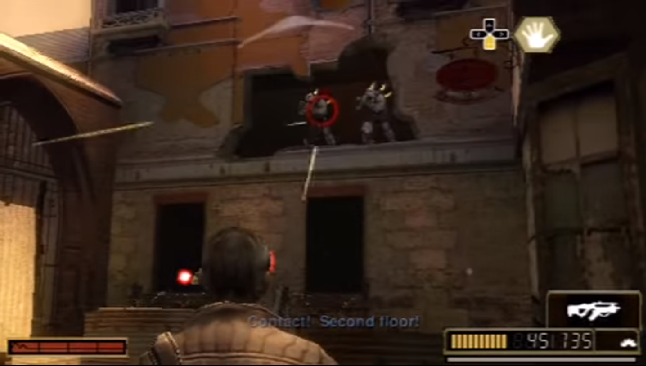 The (largely unheralded) multiplayer proved one of Resistance: Retribution’s most impressive feats, granting PSP owners an all-too-rare instance of infrastructure online deathmatch action to partake in. Impressively, a solid following remained as the servers continued to run as late on as 2015, improbably outliving those of all three Insomniac PlayStation 3 instalments. 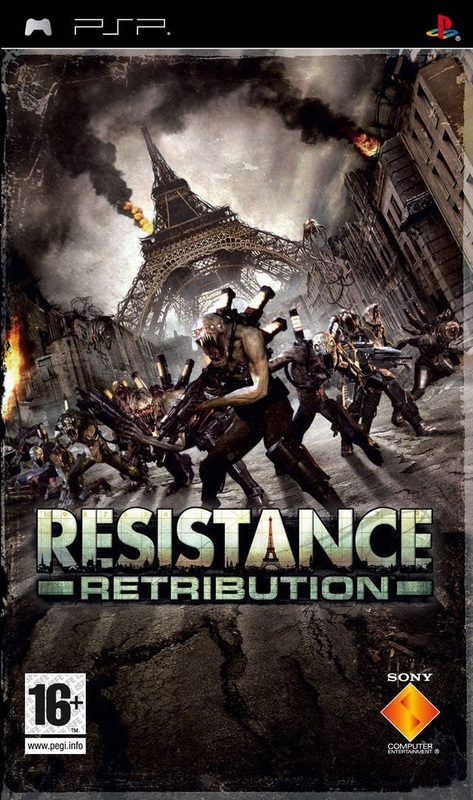 Resistance: Retribution is a quality shooter with strong production standards, making a valiant effort to create a distinct portable entry for the series that is identifiably different to its console brethren. Fans of Resistance lore will appreciate that the general ambience, foes and weapons have all been realised as well as could be hoped for, even if the controls mean it can never be the joyous, adrenalin-charged blaster it perhaps might have been under the right circumstances.